Anari Novel Complete 9 Volumes authored by Ahmed Iqbal. This novel contains story of a young man. The flow of events and circumstances took him abroad, where he was newbie. But he did not feel himself less than any player. A player who could not be beaten up on any way. Her newbies kept hem successes against players. The story of Anari gripping on full suspense, action, adventure, fiction, fantasy, crimes and punishment. 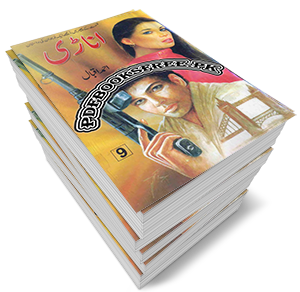 Urdu novel Anari 9 volumes complete is now available here on Pakistan virtual library in high quality Pdf document for the study of our visitors. Check out the following links to download all 9 Part of this awesome novel in pdf format and enjoy offline reading.